NASHVILLE, Tenn. (WMOT) -- A new report says Tennessee is not meeting its constitutional obligation to provide an adequate legal defense to residents who can’t afford an attorney. The report was compiled over an 18 month period at the request of the Tennessee Supreme Court. 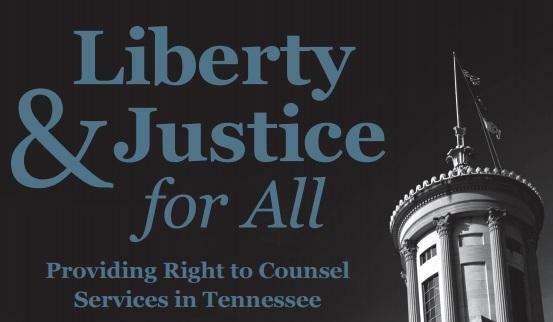 The task force report concludes that Tennessee is failing to provide the state’s system of public defenders with adequate resources to represent indigent residents in court. The final report makes seven recommendations. Among them: Increase the pay private attorneys receive from the state when they are asked by the courts to defend a poor client. Jared Mollenkoff, is a Davidson County Assistant Public Defender. He says you can’t really expect an attorney to stay motivated if they’re not being properly paid. Mollenkoff says the report’s recommendations, if followed, would move indigent representation in the right direction. Mollenkoff notes that Tennessee’s Supreme Court justices can implement some of the recommended changes themselves, but will need the approval of State Lawmakers to introduce others. Would you like to review the complete report?